A city girl by nature, I left New York City, the glam apple of my eye and ❤ to savor the flavors of Buenos Aires, the “Paris of South America.” With the seasons and longitude degrees inverted, I flowed from fall to spring in October 2007, and I’m still indulging in the Porteño night life that extends beyond sunrise. As well as satisfying my addiction for new shoes. But still, nothing makes me happier than eating, and I’m relishing the delightful bife de chorizo (sirloin strip steak), buñuelos de acelga (fried chard fritters), empanadas de pollo (chicken dumplings) and helados caseros de dulce de leche (home-made dulce de leche ice cream). However, I have a voracious appetite known to exceed that of men twice my size and a greedy palate that suffers from cabin fever after eating too much of the same thing. I was also brought up on good ol’ home-cooked Korean food, prepared by my talented mom and grandma everyday. And so, my quest for gustatory variety and spice hasn’t stopped at Argentine fare. I’ve discovered restaurants that serve up the best kimchi chigae of Korea, murgh saag of India, croque madame of France, and ceviche of Peru, among others. Happily munching away in Buenos Aires (and professionally, no less!) I have vague memories of bidding adios to my job in financial public relations & investor relations and the anxiety of choosing between law school or business school after graduating from Brown. 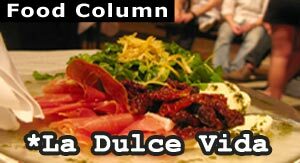 Right now, I’m just living la dulce vida here in Buenos Aires, and am as content as a fat cat as I share my culinary notes with you. i ❤ ba. This page rendered in 0.297 seconds.